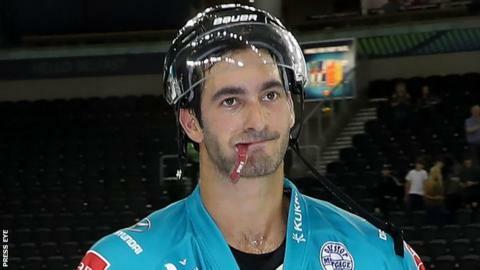 Belfast Giants' Spiro Goulakos has been handed a three-match ban following his involvement in an incident in Sunday's defeat by Guildford. Summer signing Goulakos is the most penalised player in the Elite League by some distance having accumulated 137 minutes of penalties. Goulakos will miss this weekend's games against Manchester and Sheffield plus the 16 December contest with Fife. Giants forward Brendan Connolly has also been handed a one-match ban. Connolly was deemed to have instigated a fight which broke out at the end of Sunday's 5-3 defeat by the Flames.